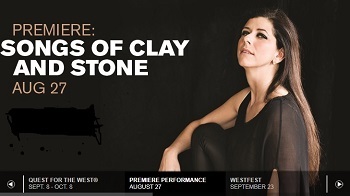 On August 27, mezzo-soprano Kathryn Findlen and pianist Robert Brewer present the world premiere of Kenneth Frazelle’s Songs of Clay and Stone at the Eiteljorg Museum of American Indians and Western Art in Indianapolis, IN. Commissioned by Findlen, the six-movement, 20-minute song cycle features texts written by the composer, and celebrates the traditions and majestic landscapes of the American Southwest, ranging from the mesas and ancient dwellings to the artistry of Hopi master-artisan Nampeyo. The event also features projected images of well-known American West photographer Edward S. Curtis, along with highlighted pieces from the museum’s Native American pottery collection. the American Southwest. Today’s inhabitants of the pueblos of the Rio Grande and the Hopi mesas are descendants of these previous settlers. 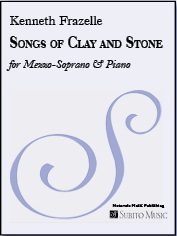 Through song, lyrics and music, Songs of Clay and Stone investigates specific places and individual potters, women whos e artistic contributions are among the greatest American artworks.